Let’s talk cardigans! I know it might be hard to think about Fall fashion right now since it’s well, about a thousand degrees outside. But now is the time to start thinking about updating your Fall wardrobe since so many great Fall pieces are on sale. 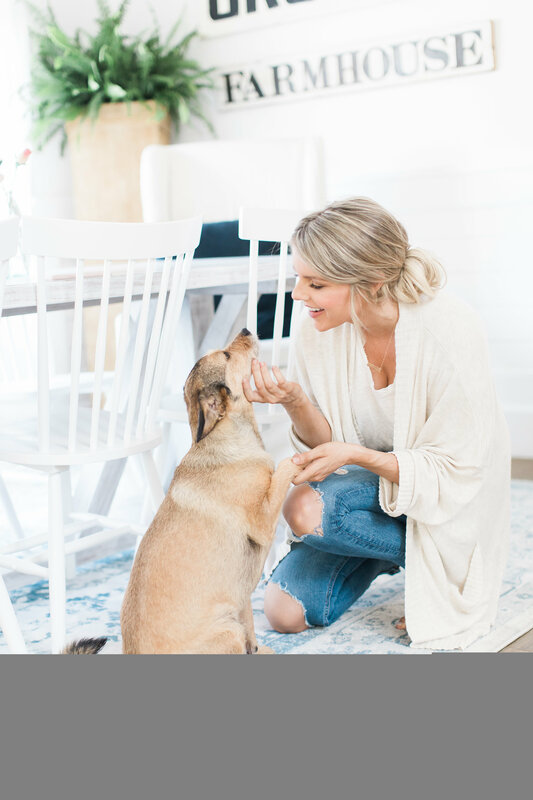 So today on my blog, I’m reviewing three cardigans from the Nordstrom Anniversary Sale to help you choose the right one for you! This first cardigan is a great option for everyone because it not only comes in small, medium, and large but it also comes in plus sizes! I’m wearing a large in the photos below but I almost wish I saw the plus sizes before I bought it and got a 1X instead. It really depends on your preference but I just really like an oversized sweater. There are very limited colors left in the small medium and large but almost all the colors are in stock in the plus sizes! And here’s just a little tip that I use when looking for sweaters in general. I actually purposefully search for plus sizes when I buy sweaters because like I just mentioned, I like the oversized look. So consider searching for a size that’s bigger than your regular size one looking for sweaters if you like your sweaters to fit on the looser side as well. This sweater is only $31 FYI!!! This next cardigan is the most expensive of the three but still a great deal at only $60. And quite frankly, I this one is my favorite of the three. As you’ll see in the reviews for the sweater on the website, it’s supersoft and truly oversized. In fact, you might even want to size down on this one and it would still be oversized. It’s also fully in stock which is awesome! I think it’s because this is one of the sweaters that doesn’t necessarily look super cute when you see it online but when you see it in person it’s amazing! I actually didn’t buy this cardigan online and bought it when I went to Nordstrom a few weekends ago. Not sure I would have gotten it based on the online picture. Pros: Super soft and truly oversized. Cons: A wide/loose sleeve. So if you like your sleeves to be more fitted this might not be the cardigan for you. It’s really just a preference in style. I happen to love it! So it’s not a con for me, but might be for you. Pros – A heavier material I will keep you warm during the fall and really pretty knitting. Also has the oversized look. Cons – Not super flattering on girls with curves like myself. Well there you have it! I just wanted to review these three items from Nordstrom anniversary sale to help you guys out if you were looking to find the perfect cardigan for you for this fall. Hope you guys have a great Monday! Love these cardigans! Thanks for the recommendations! I would also love to hear about your favorite maternity pants at some point. I’m pregnant and having a hard time finding maternity pants that are cute :). Super cute, Ali! I got the middle cardigan and love it! Thanks! Also, Where are your jeans from? Just realizing you and Heather (below) basically wrote the same comment!!! Too funny! Love these! I actually bought the 2nd one and love it! Also, where are your jeans from!? Love them! I like the look. I think it’s just a style preference. I think it makes it look expensive. So glad you found this helpful Jennifer!!! I am obsessed with all of these outfits! Where are your jeans from? I think they are by GRFRND in first pic. Ali – I always admire your necklace and I’ve seen you link it before… What does yours say? I’m looking for a piece of jewelry with my daughter’s name stamped on it… Thanks girl! I have a couple. One says “Be Kind” and the other has Molly’s name on it. Hey Ali! How long is the first cardigan on you? I’m 4’11”, so I fear the cardigan will be crazy long on me! Love your blog! It would be long on your for sure. But I don’t think it a bad way. I think it would be cute. Get it and see. You can return for free with Nordstrom. Can’t go wrong! I got the second one too based on your previous comments about it. I got it this weekend and love it! I’m still not super happy with my post baby body and it’s a little warm for it yet but excited to wear it for fall! Love the Chelsea28 cardigan! Love a great oversized sweater and this one looks more expensive than it is! I think I’ll be getting it in a couple colors. I live in oversized sweaters in the Fall and Winter. Thanks for including this one! I was about to get the second one but worried it’d be too small on me (xl) but I ended up getting one recommended on the page below it (Leith Ribbed Shawl Cardi) in a pretty mint color so it worked out! I also finally picked up a couple of those vnecks! Yay! Coming back to follow up and say I got this cardi today and it’s SO soft, a good length and super cozy! Thanks though, I love getting ideas from your tips. Where did you get your cute boots? Hi! Last cardigan is heavy and chunky but I bought it for a robe! Will be perfect for cold mornings in NY! love the 1st sweater but just don’t like the Fall colors. Was looking for the cream colored one you had on. Disappointed. Ali, beautiful girl, what’s your opinion on vintage stores? Do you shop in them? Can you make a post about it?